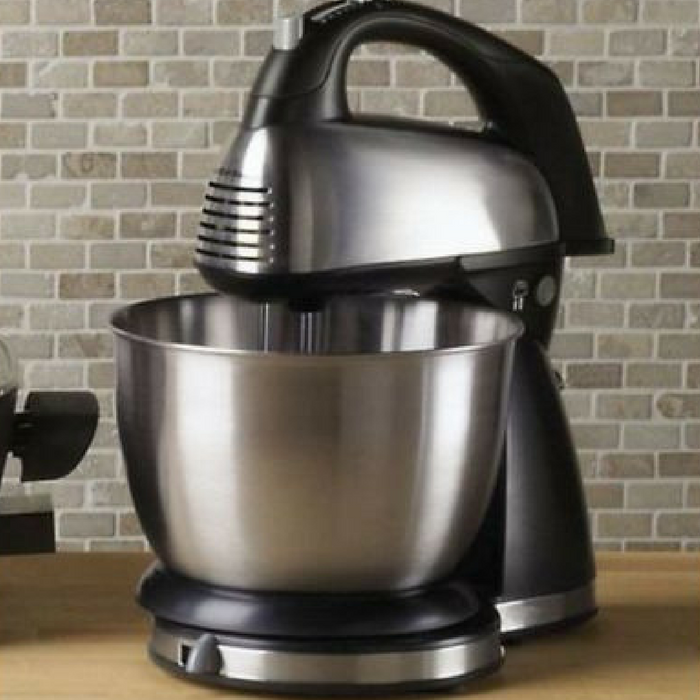 Hamilton Beach Stand Mixer Just $24.88! Down From $41! You are here: Home / Great Deals / Amazon Deals / Hamilton Beach Stand Mixer Just $24.88! Down From $41! Head over to Amazon where you can score this Hamilton Beach Stand Mixer for just $24.88 down from $41.45 PLUS FREE shipping with Amazon Prime or for orders over $25! The Hamilton Beach Classic Chrome Hand/Stand Mixer lets you determine the best tool for the job. Kneading a batch of sticky dough? Let the stand mixer do the work. Blending a quick dressing? Remove the hand mixer from the base to achieve the fast results you want. That sort of versatility is what an interchangeable hand/stand mixer can offer your kitchen. Awesome!